A Life, Not As Advertised: Christmas, loss, love & friendship and hopes for a better 2014. Christmas, loss, love & friendship and hopes for a better 2014. Ah, Christmastime, eat, drink and be merry. I said BE MERRY, damn you! Peace, goodwill and all that. 2013 has not been the most auspicious of years for me. Actually it's really been quite horrid, with an occasional hint of a bright spot that has just about made it bearable. 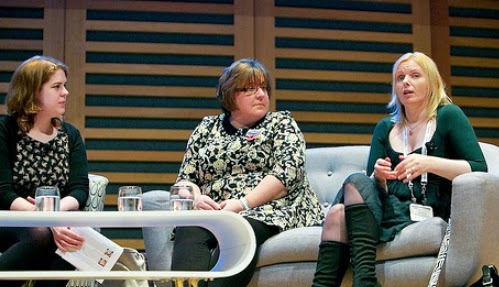 One of those included speaking at MumsNet Blogfest, which was quite a large bright spot. I'm not a religious person, but I am spiritual and to help survive the bad parts of this year, I've been trying to listen more closely to my psychic intuition. In fact, something I read by Wayne Dyer the other day has changed my thinking even more. Dr Dyer wrote in one of his many books, You'll See It When You Believe It, that we are "not a body with a soul, but a soul with a body." This concept has helped me enormously after the death several weeks ago of my wonderful friend Gulshanah. I understand now that she is not gone, but simply released from a body wracked with disease and pain. This does not, of course, make it any less painful for her family and friends, me included, that she is no longer here physically, but I have a peaceful feeling that I believe comes from her. It was incredibly distressing to witness, but I did my best to be a good and supportive friend and she knew that I loved her and will continue to do what I can. So, life has been tough for both me and for my husband this year. This time last year I was acutely ill. A year on, my Ehlers Danlos Syndrome & POTs has become chronic with increasing joint pain and I am a part-time wheelchair user. If it hadn't been for the support of family and friends, including Gulshanah, as well as online groups such as RareConnect, I am seriously not sure that I would still be here to write this. Another misery of 2013 is that my husband was out of work for five months and while it was devastating for our bank balance, having him around to rely on to take care of everything, and me, gave me a chance to rest, although a return to health isn't yet on the cards. The losses, of a dear friend, my health, and temporarily, of our family income, have meant 2013 has been incomparable in terms of the amount of stress being heaped upon our heads. And of course, there are always the inevitable challenges of raising two Aspergic adolescents through the hormonal highs and lows of their teenage years. Despite my illness, there have been people who still did their best to make life even more difficult for me, but I have been fortunate to have friends, both near and far, who have been there with good words and kind deeds. I have learned that you must never underestimate the power of love, friendship and kindness. It has literally saved my life this year. Support, whether via a hug, a kind word, a thoughtful email, Facebook message or a Skype chat, or just by bringing me a cup of tea during a meeting so I don't have to get up, has made a huge difference. Even someone just thinking ahead to make sure I can get where I need to be in my wheelchair makes a difference and means I don't feel like I'm a nuisance or in the way. If you have a friend who has a long term illness, a better way to show concern is instead of asking how they are, show them that you care about them. Asking "How are you? ", means I can either say, 'Fine' (which is not true) or just shrug and give a wry smile, because I'm pretty sure that you don't want a lengthy run-down of how I actually am. I'm hoping for a much better 2014 and that I can be a good friend to my friends when they need me and be well enough to support my family. 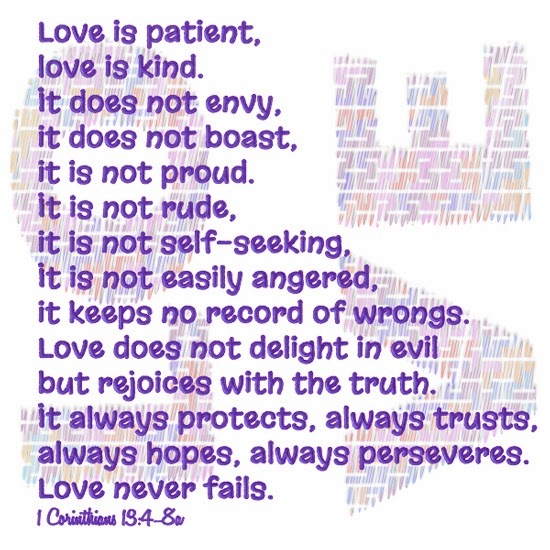 Although, as I said, I'm not religious, I have found that a particular passage from the Bible, I Corinthians 13:4-8 to be precise, can help us all with caring for others. You don't need to be a Christian to agree with it, either. It's about love, but it goes just as well for friendship. They are also words I try to live by, though not, it has to be said, with total success at times. After all, I'm only human and far, far from perfect. If you are trying to be a better friend or a better partner to the one you love, perhaps let these words guide you too. Please don't look at your other half and ask them why they aren't like this to you; just try to be like this to them and see what happens.